I bought this bunch of coriander at my local fruit shop. What is the best way to keep it fresh as long as possible? I usually cut off about 1 cm of the stems and then put them into a glass of water, at room temperature. I wonder if I would be better off putting them into the fridge, with or without the water. Or if there is another option I'm unaware of. This will keep most herbs fresh for many days. Taking off the twist tie (or whatever is holding the bunch together) is the first step--cilantro always seems to rot most when tightly packed. After that, I've had good luck with an occasional trip in the salad spinner. It can be used to help separate out (remove) any cilantro already completely turned to mush (which seems to happen to me even when most of the cilantro is completely fine) and should leave the remaining cilantro mostly dry. Then I wrap what remains in a dry paper towel (which usually gets a little damp as it wicks moisture from the cilantro) and put in a plastic bag in the crisper drawer. Not the answer you're looking for? Browse other questions tagged storage-method herbs coriander or ask your own question. 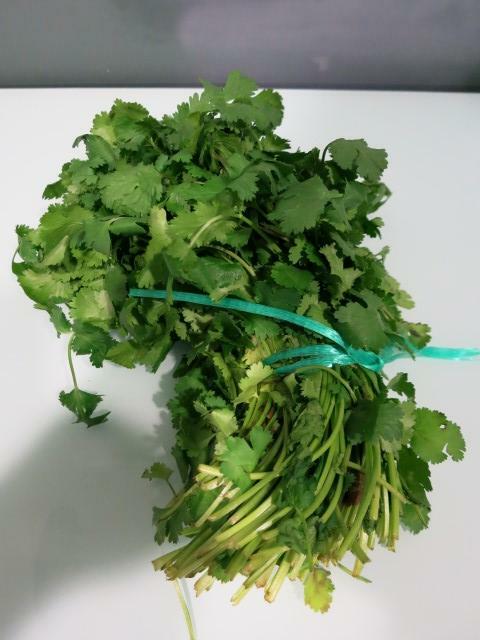 Why does fresh coriander deteriorate so quickly? Can I keep herbs fresh by spraying them with fertilizer?